Privileged location, comfort and totally new equipment! 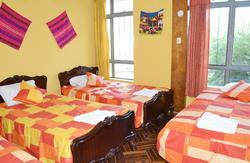 A perfect Hostel to live Arequipa fully! Comfortable facilities and common areas. Private and Shared bedrooms 100% equipped. Option of complete bathroom inside or outside the bedroom. Services and benefits to spend some unforgettable vacations. Included an amazing full breakfast, computers with internet and Wi-Fi, transfers, excursions and tourist information service, and always with the best care from our staff! Come to have the most special pisco surrounded by people from around the world with good vibe! If your plan is to get to know Arequipa and stay at a fun, comfortable and safe place, we are an excellent option! Itâ€™s the the opinion of our guests! â€œThe hostel is really Nice and clean. The staff is always friendly and smiling! The kitchen is the best weÂ´ve had in South America so far! ItÂ´s super well-equipped and clean. The breakfast includes bread, butter, jam, cereals, juice, milk, cacao and sometimes even cake. Wi-Fi is also very good! WeÂ´ve had a good time in that hostel!â€Anna / Germany. Excellent location! 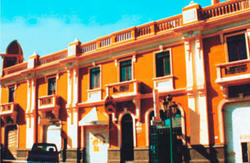 We are located at the historic center of Arequipa, It was declared Cultural Heritage of Humanity. Two blocks away from the Parade Ground of Arequipa, or Plaza Mayor is one block away from the convent of Santa Catarina and one block away From SÃ£o Francisco Square. Itâ€™s close to everything! 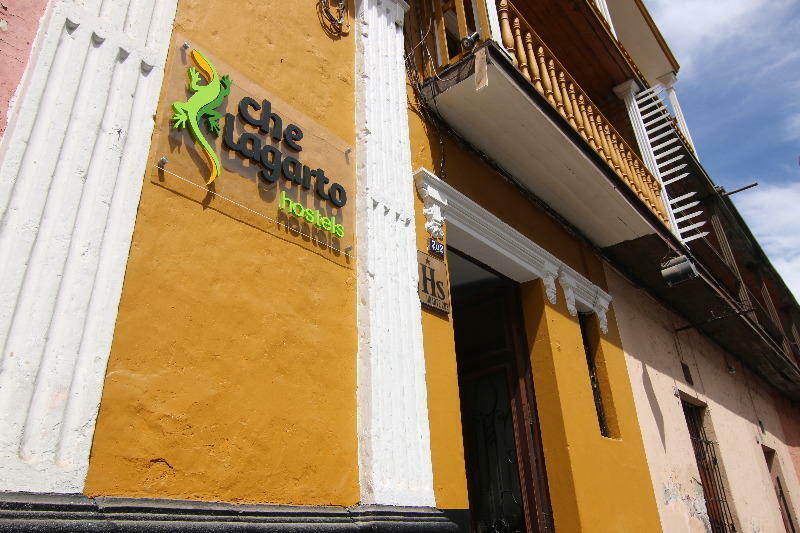 Che Lagarto Hostel Arequipa is ideal to make new friends, and exchanging travel tips with people from around the world and having unforgettable experiences on our many common areas. It features a shared kitchen and bar where is generated a relaxing atmosphere among the guests. 24hs reception, cleaning service and baggage storage place. And as always, the Che Lagarto Hostels team expects to give you tourist information and expert advice. Come to live an unforgettable experience! To make your stay complete, we offer transfer services and excursions for you to enjoy the most this magic city. Having the possibility to visit the famous CaÃ±Ã³n del Colca and Misti Volcano. Che Lagarto Hostels is the largest chain of private hostels in South America, present in the best tourist destinations and always looking for our guests to have the best experience on each of our Hostels. We are currently present in 5 countries: Argentina, Brazil, Peru, Uruguay and Chile; over 30 Hostels and Suites in different cities. We have a history of over 18 years in the market, growing every year. - Transfer in & out. (To book a transfer, contact the Hostel). - Excursions: Tour toCaÃ±Ã³ndelColca, Tour toCaÃ±Ã³n de Cotahuasi, tour up to the Misti Volcano, Downhill Tour To the Misti Volcano. From the Airport: Itâ€™s possible to hire a TRANSFER through the reception of the Hostel. Another option is to take a taxi or abus. If you choose the bus, then you have to walk about 15 minutes until the AviaciÃ³n Avenue to take the bus going by Sucre-BolÃ­var and drop at Villalba on the corner of Ugarte Street. Then, walk two and a half blocks on Ugarte until the Hostel. goes by La Marina Avenue. After that you drop at the corner of La Marina Ave. with Ugarte, and then, you walk four and a half blocks by Ugarte Street until the Hostel.